An emergency 800 hazmat number on your MSDS’s and Shipping documents, where emergency information can be provided in the event of incident with a hazardous material, is one of many requirements facing the needs of manufactures, transporters and employers having to meet the requirements for the Hazard Communication Standards. 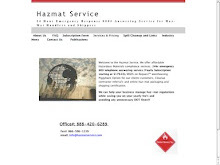 Hazmat Service Inc. provides the services you need to be in compliance with both the U.S. DOT and OSHA requirements. 24-hour emergency response 800 hazmat number violations are consistently one of the most common DOT occurrences. The Department of Transportation stated that over 50% of Emergency Response numbers listed are out of compliance with 49 CFR §172.604. Emergency response numbers will be a point of emphasis in future DOT compliance checks. Fines for carriers operating without a proper 24 hour emergency response number may run up to $50,000. Hazmat Service Emergency Communication Specialists begin a call by obtaining vital information: call back number, caller’s name, material identification, company affiliation, tracking numbers, incident location, on-scene conditions and incident details are examples of the types of information gathered. 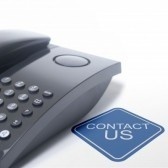 The caller receives immediate guidance depending upon the circumstances of the incident. Should additional support be required, MSDS(s) will be sent via email or facsimile to the appropriate parties. In addition Hazmat Service will dispatch Hazmat Response Teams with client authorization. Upon concluding the call, the responder completes a detailed report documenting the incident. The report is then sent via facsimile, e-mail or telephone to your company appointed representative.